What is Ambien? Are There Withdrawals from Ambien Use? Ambien induces sleep by slowing brain activity. Ambien also alters other realms of functioning such as memory, self-awareness, personal care and contact with others, for example. Ambien's effects upon the brain can be prolonged even after withdrawal. Ambien increases GABA activity in the brain. GABA is a neurotransmitter that dampens the effects of other brain chemicals and allows us to fall asleep. It also reduces the brain's ability to self-regulate neurotransmitter activity. Consequently, Ambien becomes 'necessary' for one to feel normal. Ambien withdrawal symptoms can be mild, moderate or severe. Common determining factors are the usual amount taken, how frequently and for what period. Heavy, frequent and/or prolonged use typically causes the most uncomfortable withdrawal effects. More severe abuse suggests a greater reliance upon Ambien to cope with life's demands and environmental stressors. Anxiety and other psychiatric symptoms and conditions. Relationship problems, loss, and grief or stress and trauma, for example. A significant feature of Ambien withdrawal treatment is the mobilization of hope that the withdrawal process can be successfully completed and that recovery is possible. If you need more information on the causes and signs of Ambien withdrawal, please call us at 1-888-993-3112Who Answers? today. Typically, withdrawal symptoms begin within 24-72 hours after the last dose of Ambien. Ambien withdrawal can be mild, moderate or severe. It can also be acute or protracted. Discomfort can last for days (acute) or months (protracted). In protracted withdrawal, the intensity of symptoms often fluctuates. Some describe 'waves' of withdrawal symptoms returning for some weeks or months after discontinuing Ambien. This depends upon the length of use, the amount used and frequency of use. Abrupt Ambien withdrawal can be dangerous. This is especially true for those who have abused Ambien beyond two weeks and/or have done so consistently in large amounts. Co-existing health problems such as seizure disorder, cardiac or respiratory conditions, and psychiatric disorders can be exacerbated during withdrawal. Seizure and death are risks for anyone abruptly discontinuing use. It is vital that you or your loved one consult with your prescriber or an addiction professional if you plan to withdraw from Ambien. You can call an addiction support team member to discuss safe treatment options, 24 hours a day, at 1-888-993-3112Who Answers?. Ambien withdrawal treatment requires a careful plan of action to prevent serious withdrawal effects and to ensure safety. Medical supervision and monitoring is important in every case. A treatment plan for you or your loved one should be made with an addiction professional. Withdrawal treatment can include a gradual decrease in the dosage of Ambien (tapering), the use of other medications to ease tapering or to serve as a less harmful and temporary substitute. Monitoring of withdrawal effects, as well as emotional and psychological support, is important in the safe and successful completion of withdrawal. Support therapies such as individual and group counseling, self-help groups, and education, can help ease the anxiety and fear that most have about withdrawing from Ambien. They help facilitate use of coping strategies, an understanding of the process and a collaborative effort with caregivers. Since withdrawal symptoms can begin within a few hours after discontinuing Ambien, discomfort can have a rapid onset with multiple, and at times distressful, symptoms. Support therefore often includes palliative measures for comfort and control of symptoms such as sweating, nausea, abdominal cramping, anxiety, and restlessness. The safest method for Ambien withdrawal is an inpatient setting in which your reactions can be closely monitored and intensive support can be provided.For those who have used Ambien at a high frequency over a long period, serious or life-endangering reactions can occur when Ambien is discontinued. A therapeutic setting supports recovery efforts and lowers the risk of return to use when withdrawal symptoms are experienced. Some can withdraw safely in outpatient monitoring with a tapering regimen recommended and supervised by a doctor. If you are concerned that you or a loved one needs Ambien withdrawal services, you can call 1-888-993-3112Who Answers? to speak with someone about your Ambien addiction treatment options. Treatment types can include private facilities away from home, luxury settings with spa-like accommodations and executive settings in which provisions are made for continuing necessary business contact while in treatment. Ambien withdrawal symptoms require medical attention. It is recommended that you talk with your loved one about seeking medical supervision for a safe and supported withdrawal. Withdrawal reactions can be mild, moderate or severe and complicate other health issues. If signs of distress occur, obtain emergency medical attention for your loved one. Remember that psychiatric symptoms such as indications of danger to self or others, disorientation, and hallucinations or delusions also constitute a medical emergency. 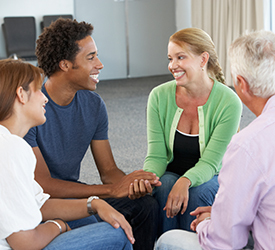 If your loved one enters treatment for withdrawal, be supportive and participate as invited and recommended by the attending healthcare professionals. Keep in mind that withdrawal is the first step toward recovery. Bottlender, R., Sch?tz, C., M?ller, H., & Soyka, M. (1997). Zolpidem dependence in a patient with former polysubstance abuse. Pharmacopsychiatry, 30(3), 108.
zopiclone: a review of case reports and epidemiological data. Addiction, 98(10), 1371-8. Hajak, G., Muller, W., Wittchen, H., Pittrow, D., & Kirch, W. (2003). Abuse and dependence potential for the non-benzodiazepine hypnotics zolpidem and zopiclone: A review of case reports and epidemiological data. Addiction 98, 1371-1378. Holm, K., & Goa, K. (2000;). Zolpidem: An update of its pharmacology, therapeutic efficacy and tolerability in the treatment of insomnia. Drugs 59, 865-889. Korpi, E., Mattila, M., Wisden, W., & Luddens, H. ( 1997). GABA (A) -receptor subtypes: Clinical efficacy and selectivity of benzodiazepine site ligands. Annals of Medicine, .29, 275-282. Mattoo, S., Gaur, N., & Das, P. (2011). Zolpidem withdrawal delirium. Indian Journal of Pharmacology, 43(6), 729-730. Sanna E, B. F. (2002). Comparison of the effects of zaleplon, zolpidem, and triazolam at various GABA (A) receptor subtypes. European Journal of Pharmacology, 451, 103-110.